If there are any other classmates or friends who would like to add to this post please contact me at thomglo@verizon.net. I sent you Frank's official obit from today's paper. Sorry, but haven't found any appropriate photos yet. As I said in an earlier post, much of the material from that part of my life was lost in my houase fire in '98. But, I'll keep looking. "I've known Frank since we were in Hamilton High together although then I knew him as the big brother of my class mate, Charlie or "Bub" as he was known to his family. Later Frank became one of my principal insurance advisers providing all my family with Allstate coverage of our automobiles, then Tenant Homeowners coverage and finally full-scale Homeowners Insurance. I'll never forget him urging that we incorporate a (then) new-fangled rider in the homeowners policy that increased the value of the home each year according to its market value. In 1998 when our house burned down Frank's foresight so many years before was a Godsend." "When we became colleagues and two-term running mates on the Hamilton Township Council I was forever impressed with Frank's uncanny ability to listen to hours upon hours of public testimony and debate on an issue and then summarize all of that in one or two sentences. He had a special talent for recognizing the core differences and stating them very simply. In an age when politicians often spend as long summarizing as the debate to which they are referring Frank's one or two succinct sentences were a most refreshing change. And, that's from a former politician who has been kindly referred to as 'verbose' while others have harsher descriptions of my orations." "No matter what the situation Frank's sense of humor was exquisite. He could see and verbalize the humor in just about any set of conditions and that talent certainly served often to lighten what otherwise might have been a ponderous calamity." Remember the Plaza Hotel? Remember the girls filling balloons with water and dropping them on us as we hung out the windows on the floor below? Remember how we tried in vain to gain access to the girls' dorms on the floor above? But most of all, do you remember when the Perry and Kline twins drove the room detective crazy as one tried to enter the girls's dorms on one side of the the building, only to repeat the same effort on the other side.....? "Hey! how did you guys get over here? I just chased you from the other side of the building......"
HARMLESS FUN: NO DRUGS, NO DRUNKEN ORGIES, NO FIGHTS, ONLY THE AGE OLD MALE DESIRE TO SATISFY OUR CURIOSITY AND EXPLORE THAT EVER PRESENT "FEMININE MYSTIQUE!" CHECK OUT THE DISINTEGRATING WHITE HORSE TAVERN! I WAS ONLY 14 WHEN THIS PHOTO WAS TAKEN, BUT I SURE WOULD HAVE FOUGHT "TOOTH AND NAIL" TO PRESERVE THAT HISTORIC OLD STRUCTURE IF I HAD ANY COMMUNITY INFLUENCE BACK IN THOSE YEARS WHEN HAMILTON HAD A COMMITTEE FORM OF GOVERNMENT. WE SHOULD BE ASHAMED OF OURSELVES FOR FAILING TO PRESERVE THAT HISTORIC BUILDING! 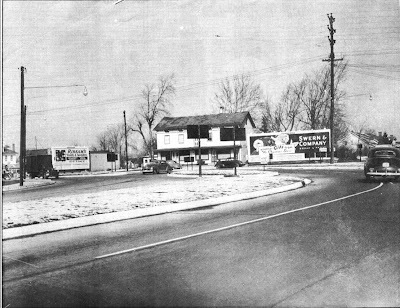 This was the way the circle was back in the 40's and early 50's as Don Slabicki, Jess Anderson and I came back to Hamilton from a trip to "Hamburger Heaven" in Bordentown, or perhaps a visit to Millside Farms down in Burlington County for one of their notorious "Banana Boats!" Hang a right at the circle as you exit Route 206, and then a left as you enter South Broad Street, and you will get a chance to stop in at "Scotty's;" a favorite Hamilton High hangout for my generation. Point of interest: Did Scotty's have a fountain....milk shakes, cokes, etc.? 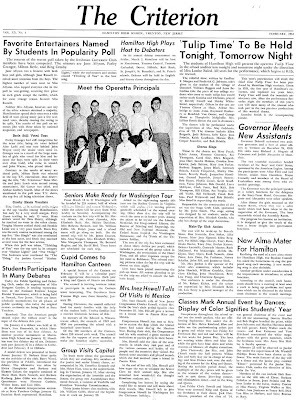 IT IS WITH DEEPEST REGRET THAT NOTE THE PASSING OF RAY DANBERRY, OUR CLASSMATE FROM THE CLASS OF 1951. OUR PRAYERS GO OUT TO SANDRA AND THE FAMILY. SO I HAD ADDED TO MY FRAME. ARROW DOWN ALONG THE RIGHT SIDE OF THIS SCREEN, DOWN TO THE VERY BOTTOM OF THE "ARCHIVES," AND CLICK ON THE "SIGN MY GUESTBOOK" ICON. I NEED TO HEAR FROM YOU! WHAT ARE YOUR THOUGHTS? HOW CAN I IMPROVE THE SITE? YOUR INPUT IS IMPORTANT AND I WILL RESPOND IF YOUR ENTRY REQUIRES A RESPONSE. HOW IS IT THAT THEY GET OLD, AND WE DIDN'T? PLEASE GO TO THE VERY TOP OF THIS PAGE AND SEE OTHER LOCAL INTEREST WEBSITES WHICH I HAVE DISCOVERED. 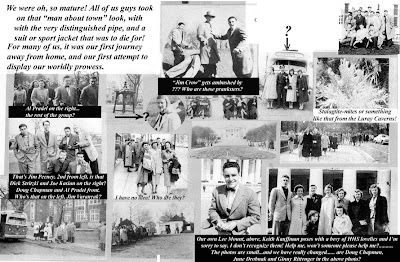 DON WHITELY'S INCREDIBLY INTERESTING HHS 1945 SITE HAS EXCELLENT REMINISCENCES OF HIS GROWING UP IN YARDVILLE HEIGHTS. (www.donwhiteley.com). 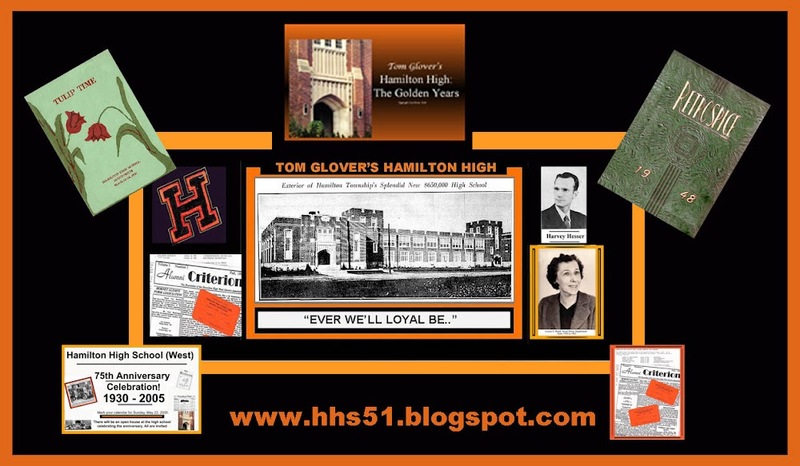 HHS50.COM IS IN EXCELLENT SITE WITH VERY COMPREHENSIVE INFORMATION ON THAT GREAT CLASS of '50 WHICH PRECEDED THE EVEN GREATER CLASS OF '51! 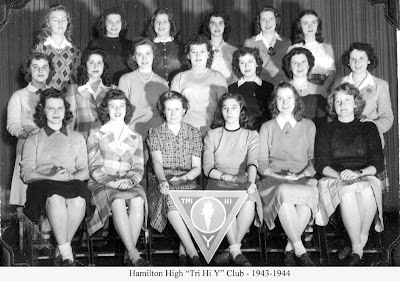 AND FINALLY: THERE ARE PITIFULLY FEW PRE 1960'S HAMILTON ALUMNI LISTED IN THE OFFICIAL HHS WEBSITE. 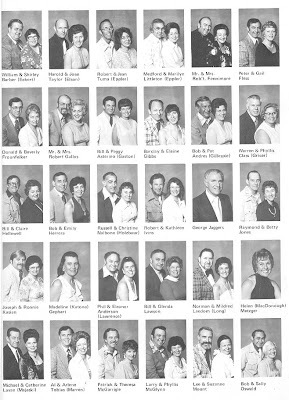 IT IS AN UNFORTUNATE FACT THAT AS WE GO BACK INTO THE 40'S AND EARLIER, THERE ARE FEWER AND FEWER ALUMNI LISTED. 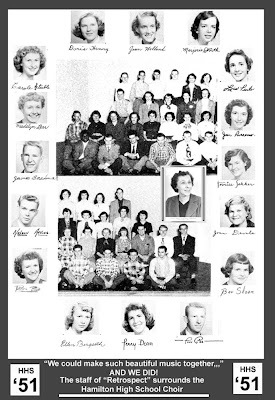 WHATEVER HAPPENED TO THE CLASS OF 1952? CHUCK TAYLOR AND DON WRIGHT ARE THE ONLY ENTRIES FROM THAT CLASS. While you are at the site, check the many interesting areas. I honestly don't know whether I posted this in an earilier entry or not, but with baseball season just beyond the horizon, I will take a chance and present it again. 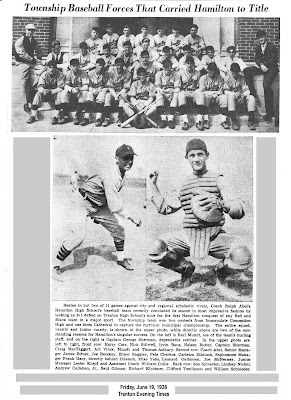 THANKS TO MY FRIEND ALAN WILDBLOOD FOR THE FOLLOWING EMAIL WHICH POINTS TO AN ERROR IN THE DATE ON THE TEAM PHOTO IN THE GRAPHIC ON THE LEFT. FOLLOWING IS ALAN'S EMAIL AND MY RESPONSE. THANKS AGAIN, ALAN! I have been viewing the HHS baseball team. Your text and the caption say 1936 but the file name says 1937. I know that Elmer Baggley, who is in my family tree, was born in August 1920. If he was a junior it would probably be 1936, if a senior 1937. Saul Gilman was my teacher and Joe Bacskay the father of my classmate. Lois is overjoyed that the Steinert Class of 1966 (Marsha and Lee's) contributed generously to the Brearley fund and hopes they will have enough for a bench. An explanation and a faux pas. The lower engraving is seperate from the upper; in fact, I inserted it into a space below the baseball photo. I believe the lower is indeed 1936. You will note that there is no "header" on the upper photo with a date as there is in most of my graphics. In retrospect, the top photo was undated and taken from an old scrapbook. I will assume from your email that it is 1937. Thanks for the correction. This is another of the original photos which came to via Alice Wilhelm, as detailed in a former post. 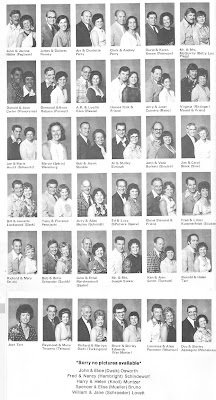 Before Miss Alice Wilhelm retired and moved to Florida back in the early 1980's, she gave me her complete collection of memorabilia which she had saved over her many years as a teacher at Hamilton High. 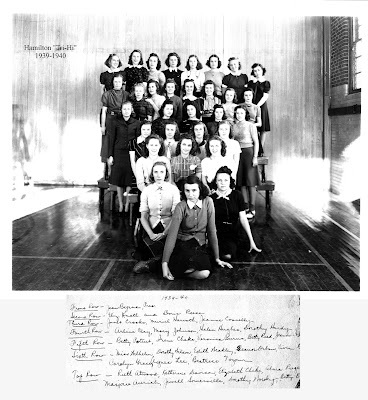 Along with Louise Baird, Alice was one of the original teachers at the school when it opened in 1930. She was the leader of the girls' "Tri Hy Y Club," and left me with a few photos of the group. I see my sister in law in this photo, the late Jean Connelly Britton. The flagpole and settee are there, but there is no shrubbery and the 75 year old Sycamore trees are conspicuous by there absence. 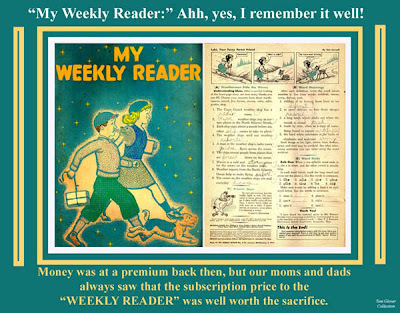 Of course I know that this little weekly classic to which we all subscribed is a fugitive from grammar school, but I thought I would share it with those who do not visit my www.kuser-school.blogspot.com site. WOW, THIRTY YEARS AGO!! 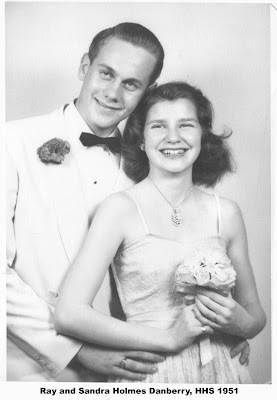 Were we ever this young? 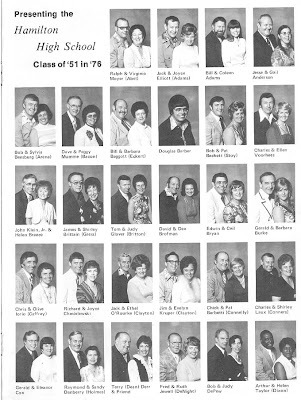 Those classmates who attended the 25th those many years ago are pictured in this, and the following two posts. This, and the next photo were taken with my old 3.1 megapixel digital camera. 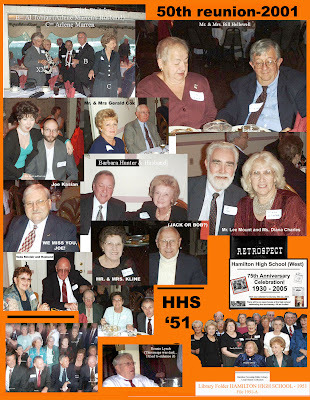 Unfortunately my current camera malfunctioned, and as a result, I got no real good photos of our more recent 55th reunion which was held at the Mercer County Marina. What wonderful memories! I can still sing the music from this great old operetta. 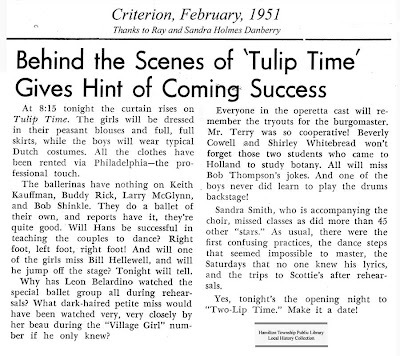 It was the first performed by Hamilton High in their first year of 1931. It was repeated again in 1941, and ten years later, in my year, 1951. The high schools stopped performing the "old fashioned" operettas, which very effectively relegated Gilbert and Sullivan, and other masters of the craft to the musical graveyard. 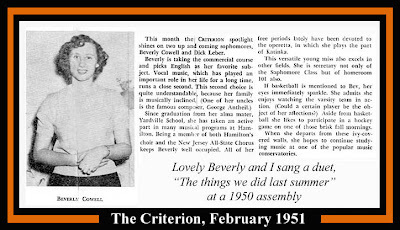 Beverly was once of the sweetest personalities in the cast of "Tulip Time," our 1951 operetta.